During your engagement, more than likely you will be so focused on all the details for your wedding that the prospect of actually attending your wedding may get lost in the shuffle. If this is your first walk down the aisle, and especially if you are one of the first of your friends to get married, there are a few key matters of etiquette you may want to know for the Big Day and the wedding related events leading up to it. 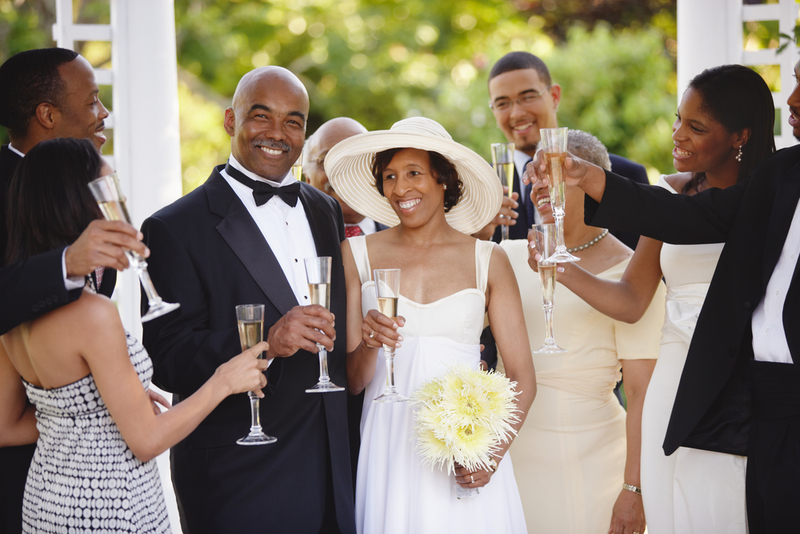 Here are some tips to help you be gracious with your wedding guests. Couples typically are expected to greet and say hello to each guest some time after the ceremony ends and before their guests finish their meals. For every guest you do know, you may not know their dates, and you may be meeting a lot of new guests from your spouse’s side. You will probably want to hug and kiss your family and closest friends, but you shouldn’t feel obligated to dole out physical affection to everyone. It’s perfectly acceptable to shake hands with guests, even female guests. If that feels too formal, channel your grandmother and give them the old forearm squeeze while you’re shaking hands. If you find yourself blanking on a guest’s name, such as a loved one’s date or significant other or a guest you already were introduced to during your greeting line, don’t panic. There are plenty of tricks you can use to recall his or her name. One of the easiest ways is to introduce the guest to someone you do know. People tend to echo their own introduction, so grab your hubby or a family member and let them introduce themselves. Without revealing that you’ve forgotten a guest’s name, try saying, “I’m so glad you could make it! Let me introduce you to my husband!” A guest will think you’re eager to say, "This is my husband" so soon after it’s official that they won’t likely assume you’ve forgotten their name. If a guest asks a question that is a little too personal or invasive, you don’t have to confirm or deny or reveal too much in your answer. Instead, try using a vague euphemism. Be prepared: You will meet and talk with many, many guests, not just at your wedding but also at your engagement party, your bridal shower and the other wedding events leading up to the Big Day. Everyone loves to be in the presence of true love, and your guests will each want some quality face time with the blushing bride, so it’s important to make your rounds and spend time with each of your guests. Remember to be gracious when guests give you compliments even if you are not used to being the center of that much attention. The majority of your conversations will likely be about how beautiful you look and how wonderful your arrangements are, and it’s important to receive those compliments as if they’re new each time. They may become redundant, but really, who gets sick of compliments? Also, try to say goodbye to as many guests as you can before they leave or before you and your spouse make your grand departure. Thank everyone for attending and wish everyone a safe trip home. Showing your gratitude will be appreciated immensely.